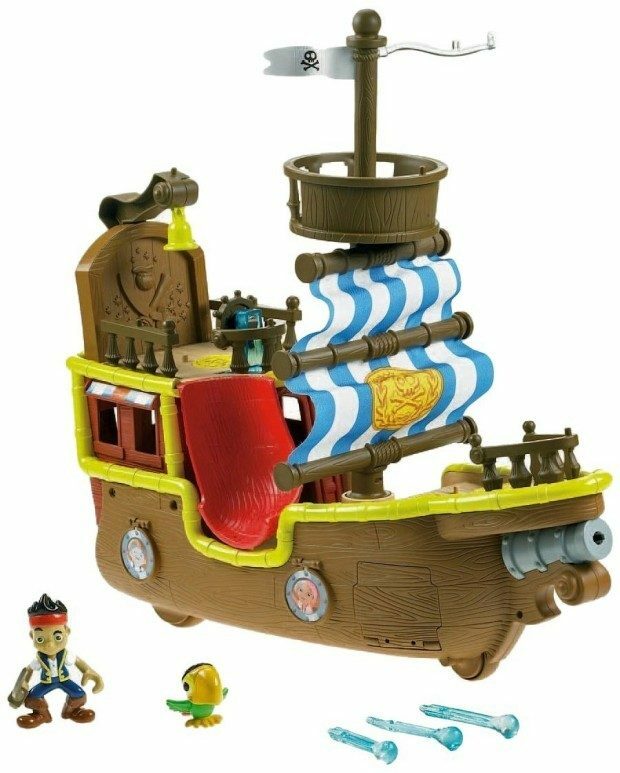 Fisher-Price Disney's Jake's Musical Pirate Ship Bucky Only $19.99! You are here: Home / Great Deals / Amazon Deals / Fisher-Price Disney’s Jake’s Musical Pirate Ship Bucky Only $19.99! Fisher-Price Disney’s Jake’s Musical Pirate Ship Bucky Only $19.99! Bucky sails in straight from the Jake and the Neverland Pirates show! Bucky comes fully equipped with all the necessities a young pirate would want to fend off the evil deeds of Captain Hook & Smee! Get the Fisher-Price Disney’s Jake’s Musical Pirate Ship Bucky for Only $19.99! Save $25 now!